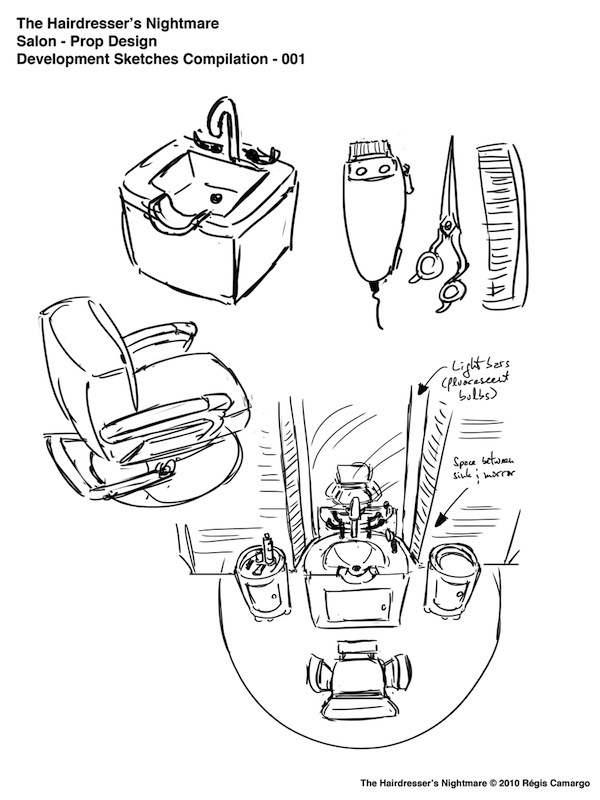 After that short gig I mentioned on the previous post and after moving, I finally got some time to I get back to working on my story portfolio, particularly on “The Hairdresser’s Nightmare.” As I said before, I decided to take the approach of giving it a more thorough treatment than just doing storyboards for it, so here are some more development sketches. I’m about a third into the storyboard thumbnails, and it’s shaping up nicely and once I’m done with the first pass of that, I’ll probably start developing a color script of some sort as I continue to refine the story and the character designs. Compared to my comic work, and with my previous animation work, I’m trying to make these characters look a bit more iconic and simpler in design. 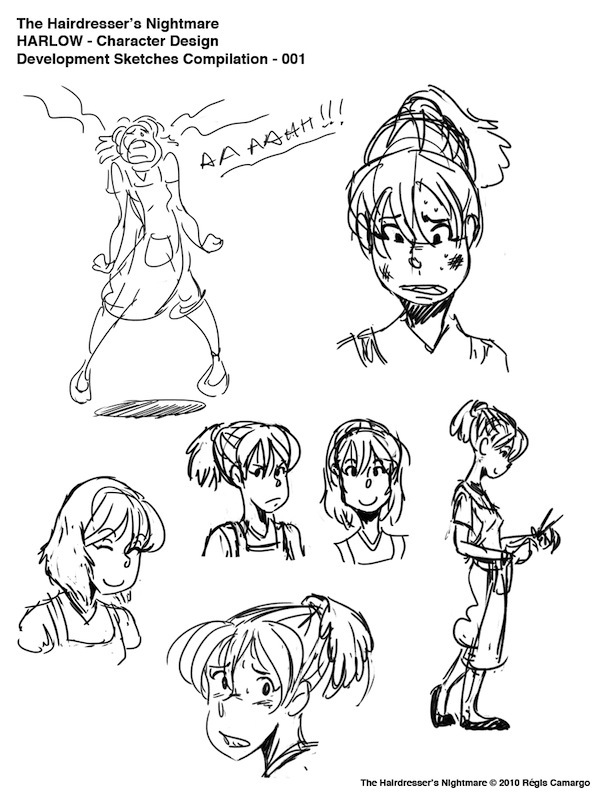 Of course the focus is on Harlow, the hairdresser, so I’m starting to develop the design of her expressions to help me develop those of the other characters. The early stages of any project are exciting because there are so many paths to take, but at the same time a little scary because there are so many paths to take (pardon the tautology.) 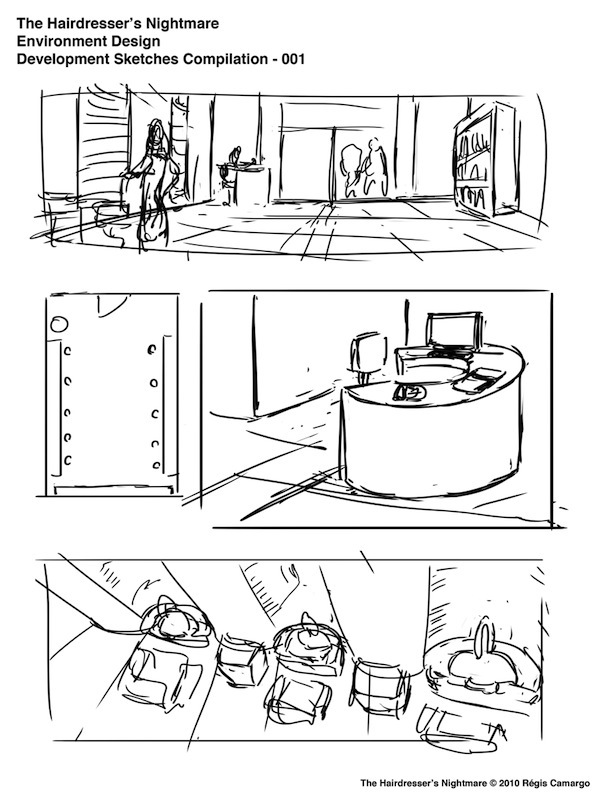 But, organizing my sketches into the images below definitely helps me focus on where I want to go with this story. Wow, The sketches are interesting; I might just follow it 😉 hehe. Anyways, looking forward for more sketches! Or even e full side comic?